I recently received a request from a non-profit organization that they would like to join my CSM class. However, they have expressed that they can’t afford to pay the fee and need to look for a sponsor. I visited their office to learn about what they do so that I understand whether it is a genuine organization. I was impressed by the young people there who are serving the society. I offered them a free 1-day Scrum orientation. 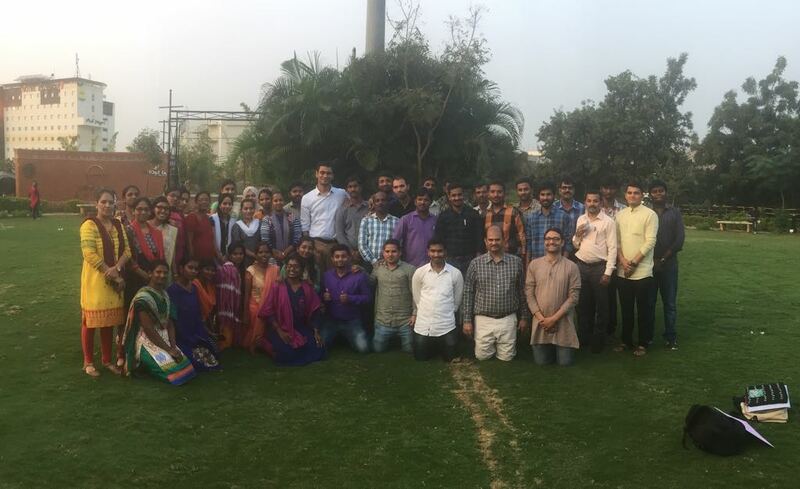 I conducted 1-day session on 22nd November for 50 people from this organization at a location organized by them. These people come from various background, mostly non-technical. Some of them are even from rural background. I taught the class mostly in native language, Telugu. To my surprise, these teams already exhibit some of the characteristics Scrum expects like transparency, self-organization and cross-functional behaviour. Everyone participated with curiosity and asked relevant questions. Best part is that I didn’t see the confusion and difficulty adopting Scrum that exists in corporate world, in this group since they don’t have too much of authority, politics and bureaucracy in their organisation. I had to teach in simple terms so that they can relate to their work, making sure that software product jargon is not coming the way. It was a great experience and satisfaction to teach this group of people who is serving the society! Thanks to Bhargav and DSK Chakravarty for helping in the class!